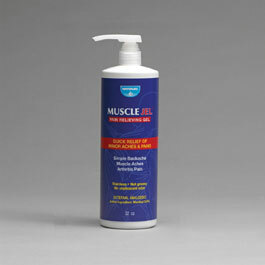 Provides welcome relief for backaches, arthritis, bruises and sprains with this greaseless, non-staining clear formula. Large professional size bottle, with easy to use pump for personal or professional application and massage. Generous application provides the patient-proven benefits of improved blood flow and increased absorption through massage - very important to the muscle healing cycle.